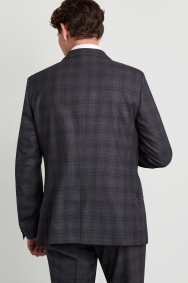 Be occasion-ready in classic checks. 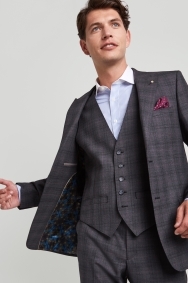 When you want to look sharp with minimal effort, turn to this suit by Ted Baker. 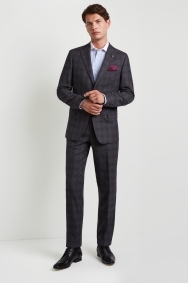 The stylish checks have a burgundy thread running through, but they’re subtle enough to make a statement without being too bold. 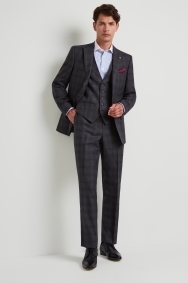 With a cinching tailored fit, it will flatter your outline and give you a smart look. 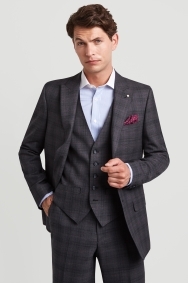 Peak lapels and a honeycomb-inspired tie pin add extra Ted Baker interest. 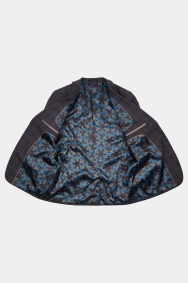 There’s also a bold contrasting lining featuring a geometric bee print to catch attention when you take it off, plus bee embroidery under the collar. 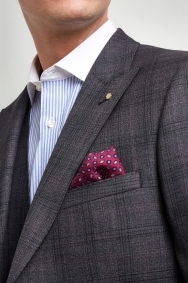 Choose the crispest shirt you own and wear a pocket square in a wine tone to bring out the burgundy in the checks. A knitted wine tie will also do the trick.